Every subdivision of a property presents itself with a unique set of circumstances. At Stock Land Division, we assist you with subdividing land in Adelaide and all of South Australia. We have extensive experience in every area of the subdivision and development approval processes. Stock Land Division has over 15 years of experience in assessing and lodging a diverse range of development and land division applications across the state. 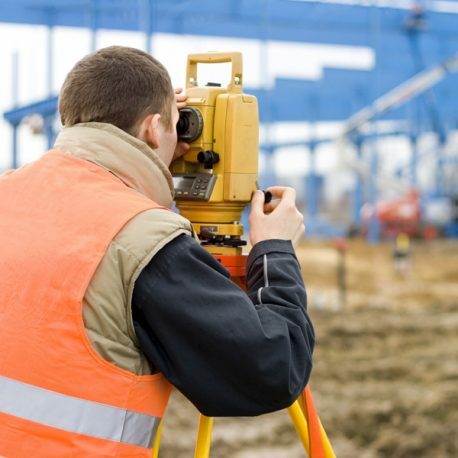 We can assist you with the entire development process, including the demolition of any structures that may be on the land, marketing the entire process, conveyancing and having any legal paper work that needs to be signed such as land titles, and helping you finance the entire project to ensure you get the best possible results at the most competitive price available. STOCK LAND DIVISION also offer a complete subdivision management service to ensure that your division will progress in a smooth and timely manner, we take responsibility for delivering your subdivision from beginning to end and producing the best quality results for you, every time. Our unique management of the subdivision process is what sets us apart, we are experts in the complete process, we are respected by government agencies, builders, conveyancers and real estate agents. We know the expected costs and timeframes of every stage, we will work on your behalf to reduce them. Contact us today to find out more about this process. *Stock Land Division has offices located in the Adelaide CBD, Crafers in the Adelaide Hills and Aldinga Beach in southern Adelaide. Contact us today to find out more. We are one of Adelaide’s best and most reputable land division & project & urban planning companies who take a great amount of pride and dedication in our work. We have been in the industry for over 15 years and have built up a large base of highly satisfied customers in that time. We want to provide our customers with the most accurate and up to date conveyancing information and help them every step of the way. Read more about our project planning expertise and help fast-track your subdivision project. A Torrens title is a single certificate of title for an allotment of land. A community title divides land into lots and common property. Boundaries for each lot in a community strata scheme are defined by the buildings and structures. I used the services of Stock Land Division across quarters 3 and 4 of 2017 to assist with project management of a residential sub-division in the suburb of Modbury north, South Australia. The Project Consisted of dividing one allotment into two allotments. The process proved to be straightforward with Cameron providing a good level of service throughout. Communication was excellent and regular updates were provided. Further, Cameron was able to provide details of other professional service providers to assist with completing the conveyancing and sales process. Overall I was happy with the efficiency of the process and the service fees charged. “Thanks very much Cameron. We finally got there! I appreciate all of your assistance and patience throughout the process. “Our experience with Cameron has been excellent for the building of our two first houses. We look forward to continue our project ( 4 more houses) to Build with Stock Land Division help. He is kind and caring, easy to approach and always doing the extra mile to save us time”. Stock Land Division is the leading expert when it comes to dividing your property or land in Adelaide. We have over 15 years of experience and provide the best possible service in the industry.